The 14th annual Oregon Truffle Festival invites truffle lovers from around the world to appreciate, learn about and explore truffles from in and around the Willamette Valley. Growing conditions in the valley are perfectly suited to truffles and the word is getting out. Four unique and elegant weekend-long experiences are offered: The Epicurious, The Gourmand, The Truffle Growers All-In Adventure and The Urban Forager. The Joriad North American Truffle Dog Championship also takes place during the festival on Thursday, January 14. Other a la carte events during the weekend include Saturday's Grand Truffle Dinner and Sunday's Fresh Truffle Marketplace. As always, there will be new events and new venues to help celebrate Oregon truffles and regional culinary traditions, including the best of Oregon wine. The Eugene Fresh Truffle Marketplace is open to the public and available with all four of the weekend experiences. Find fresh Oregon truffles, regional wines, artisan foods and craft products related to the burgeoning regional truffle industry and farm-to-table experiences. Watch cooking demonstrations, truffle dog demonstrations and multiple lectures in a series. The marketplace takes place at Hotel Eugene from 11 a.m. - 4 p.m. on Sunday. Tickets cost $15 in advance or $20 with an included glass for wine tasting; tickets at the door cost $25 with wine tasting; kids 10 and under are welcome free of charge. 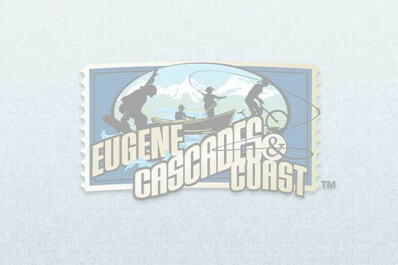 Main events are held in and around Eugene and tickets can be bought online prior to events.